Hummer Helper Nesting Material Kit. Displaying nesting material provides an opportunity to help the birds search for suitable materials and ensure many hours of entertainment as they raise their family in your yard. Includes hanger full of material. 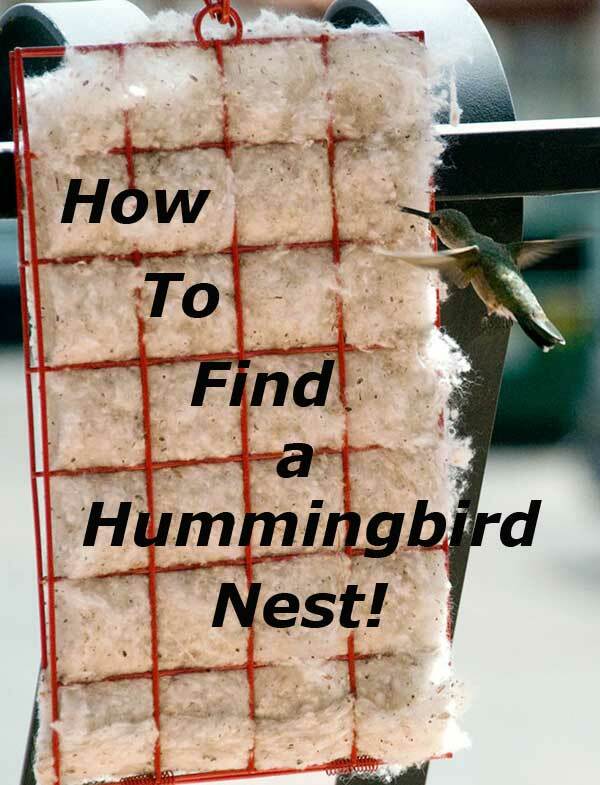 Hummer Helper helps take the place of spider webs and lichen in lining the tiny nests. Material is raw natural cotton. Keep a Refill nesting material on hand! Love my new hummingbird nesting material. Package came to Canada, with no damage AND delivered to my door. I live just north Oklahoma City. I still have hummingbirds and not sure when to pull my feeders. Oh, we purchased the cotton material, it was awesome to see other birds using it. Received my hummingbird feeders and nesting kit so excited to put them up and watch them. The Hummingbird nesting material that I purchased has been a big success. I'm not sure that the Hummingbirds were able to get any, but all the other birds plucked the one dry. This is the second set of two that I have ordered this Spring. Next year I'll have to order more than two. Everything arrived quickly. I noticed the quality of the ant moats as compared to those found in stores. Also, anxious to use the hummingbird nesting helper for the first time. Have been following the Spring Migration Map for years. Much appreciated. In Western Pennsylvania we are in the country and see a lot of different birds, but the hummers are special. Will order again in the future.